Tatsumi is a small manmade island just west of Shin Kiba and Yumenoshima. There is a Yurakucho Line station on Tatsumi but the entire island is not particularly interesting for an average tourist. It can be interesting for a local, especially if you live in Shitamachi or somewhere south of Shitamachi. I spent half an afternoon exploring the area and found it to be what I expected. 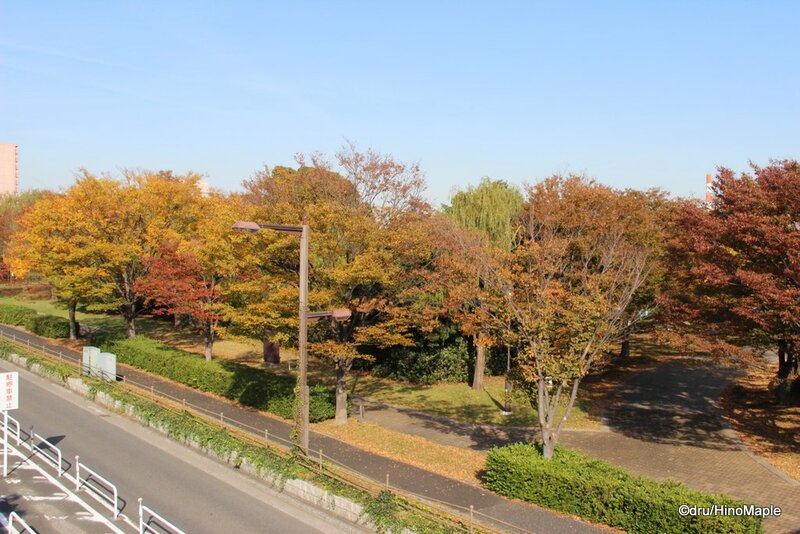 It is nothing more than a flat area with a few apartments, lots of industry, and a nice large park. I wouldn’t recommend many people to visit this area but if you are looking to get away from the noise of Tokyo, the weekdays at this park is very relaxing and you’ll probably love the beautiful trees. You must enjoy it as much as possible as it will likely change dramatically over the next 7 years. While the entire island has a lot to explore, I spent almost all of my time at the Tatsumi Seaside Park. It is a nice large park with a lot of sporting activities. The entire park can be split into 4 unequal quadrants. The northeastern side of the park is a simple parking lot with some forested areas in the central eastern side. The southeastern side of the park is fenced off, so I’m not too sure if it is part of the park. 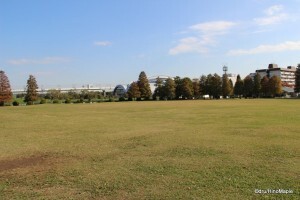 The main area of the park is the grass field in the south western side of the park. 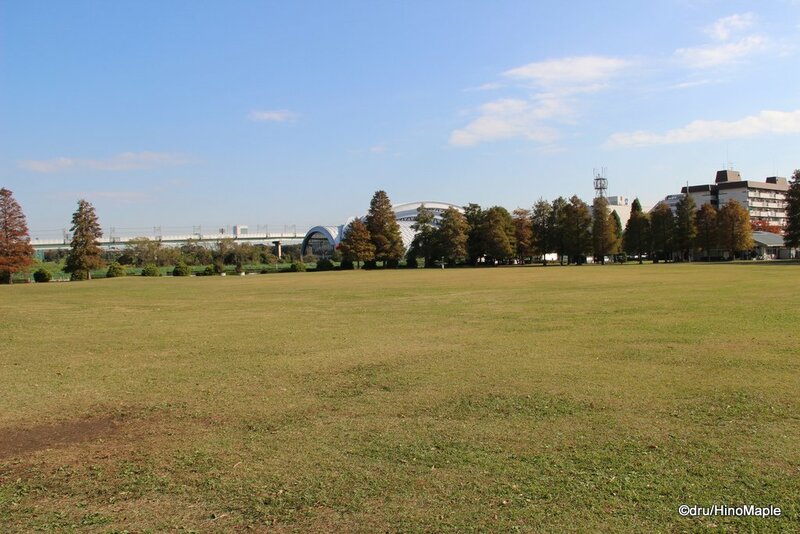 This grass field is home to various sporting activities. There is “ground golf” which is something similar to gate ball. You start in one spot and you keep putting a large ball until you hit a pole. You can also play frisbee golf and other variations on golf within the park. I found it interesting and I really want to try frisbee golf someday. It looks like a lot of fun. The north western quadrant is occupied by a soccer field and another parking lot, which isn’t too interesting for an average visitor. 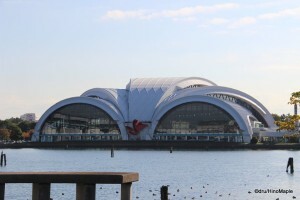 Next to the Tatsumi Seaside Park is the Tatsumi International Swimming Centre. It is, as the name says, a swimming centre with a couple of pools as well as a diving pool. It is pretty large and useful for various Olympic style events. The only problem is that it appears to not have any seating for spectators. The Tatsumi area is about to be changed. 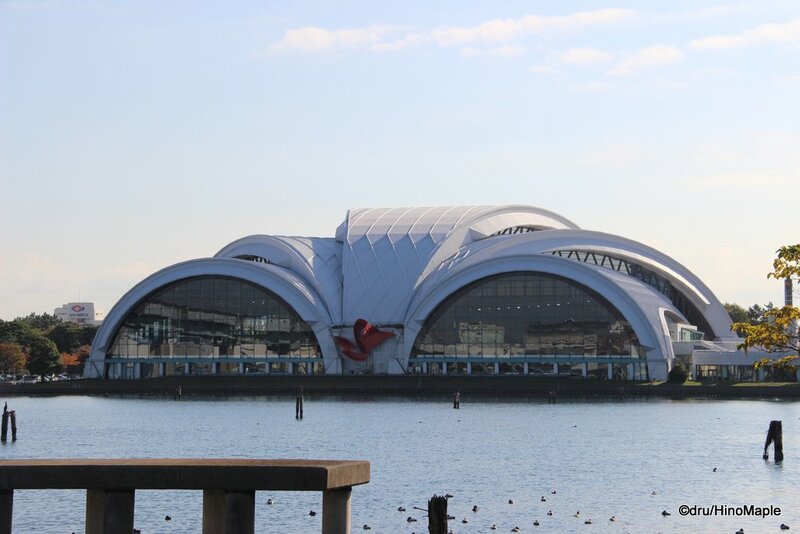 The entire eastern side will be transformed into two Olympic venues. I looked around for where I thought the buildings would be, and it appears that a beautiful forest will be razed to make way for the Aquatics Centre. I was surprised that they would put it there rather than an open lot just to the west of the forested area. There is a lot of space in this park but I shudder to think of how different it will look. It will be a great place for the centre but it is also in a very out of the way area. I don’t expect it to be very busy in the future but during the Olympics, it will be very crowded. I also suspect that this beautiful hidden park will be terrible in the few years leading to the Olympics as a flurry of construction happens. I don’t know how people will think of the park during the construction phase, but it probably won’t be as bad as I suspect. Japan is usually pretty good about construction and it isn’t as noisy as it could be. My fingers are crossed that things will be nice. Tatsumi is definitely off the beaten path and a great escape from Tokyo. I wouldn’t mind visiting this area more often if I had the time and I was closer to it. To be honest, it is so far out of the way that I doubt I will visit this area more than once a year to keep updated on the status of the Olympic venues. I don’t think it is worth a visit if you are interested in the future Olympics but during the Olympics it will be great. 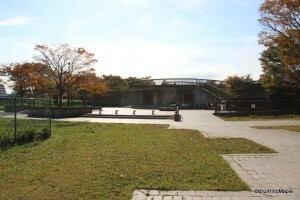 This entry was posted in Tokyo and tagged japan, Olympic Swimming Venue, olympics, park, Seaside Park, Shin Kiba, Shitamachi, swimming, Tatsumi, Tatsumi Seaside Park, Tatsumi Station, tokyo, Yumenoshima, Yurakucho Line by Dru. Bookmark the permalink. Oops. I thought I replied to these. Yes, it can make you really sad. I’m going to wait until they actually start construction before I get really sad.